The New England Patriots’ drama behind the scenes has been well-documented this offseason. The Brady-Belichick Feud has been a talking point for almost five months at this point, and the hot topic hasn’t been cooling down at all. 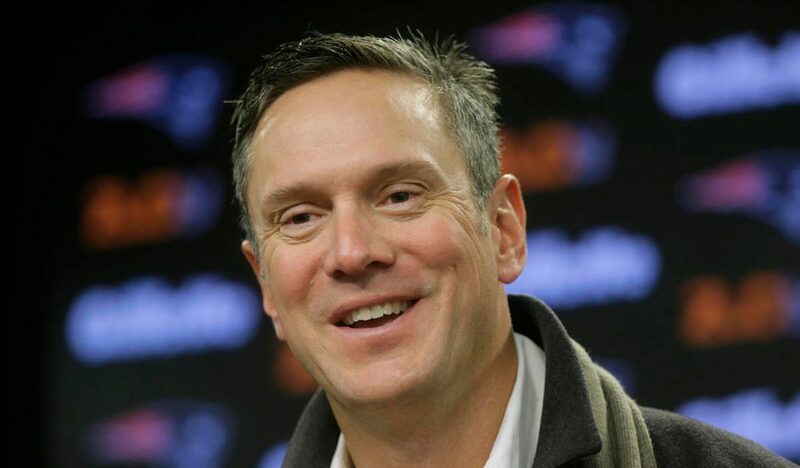 One of the few people who didn’t have a public opinion on the issue was former Patriots quarterback Drew Bledsoe, who seemingly sided with his old backup when talking on NBC Sports Boston Wednesday. “Tommy should go into the Hall of Fame just for that—just because he’s put up with Belichick for 18 years,” Bledsoe said. However, the four-time former Pro-Bowler said that the drama may not be as harmful to the team as some have speculated. Bledsoe has been in the spotlight often as of late, developing a very public relationship with Celtics point guard Terry Rozier. When the Patriots elected to pass on Lamar Jackson in the first round, some fans were shocked. Then in the second-round, when they passed on Mason Rudolph, it was also a surprise to many. However, Belichick waited until the final round of the draft to take a quarterback when it was heavily speculated that this would be the year that he would draft Brady’s successor. Instead, he selected Louisiana State University quarterback Danny Elting in the seventh round. Etling became the first rookie to sign with the Patriots this year on Thursday, May 9, inking a four-year contract with his new team. The 23-year-old passed for 2,463 yards in his senior year at LSU, in addition to 16 touchdowns and just two interceptions. Etling also finished his career with a 16-7 record as a starter. Left guard Joe Thuney—who started in all 16 games for the Patriots in each of the last two seasons—will undergo foot surgery, per Mike Reiss of ESPN. The 2016 third-round pick out of North Carolina State missed just nine snaps over the past two years. While he is expected to be fully healthy by the season opener on Sept. 9 against the Houston Texans, the procedure could mean bad news for New England’s offensive line depth early in the year. If he were to miss any time, Belichick just drafted guard/tackle Isaiah Wynn from Georgia with the 23rd pick in the draft two weeks ago. The Patriots also traded for 49ers left tackle Trent Brown, which gives offensive line coach Dante Scarnecchia ample weapons to shuffle around before the start of the regular season. While they may not be the biggest names on the team, safety Duron Harmon and punter Ryan Allen can still brighten up somebody’s day. As part of Teacher Appreciation Week, Harmon and Allen visited Burrell Elementary School in Foxborough Wednesday morning, surprising teachers and praising their good work. The two players gave the teachers Super Bowl gear and autographed memorabilia and gifted every student a copy of the book “Let’s Go Patriots,” which they encouraged the kids to read every Sunday this season for good luck. Principal Michele McCarthy, who helped organize the event, said she extremely proud of the teachers, and hoped that this sent them a message. In case any Patriots fans were still bitter about their team’s loss in Super Bowl LII, they may want to stay away from the goat exhibit at the Franklin Park Zoo. The Boston-area zoo made a bet with the Philadelphia Zoo back in February, agreeing to name the new baby Nigerian Dwarf Goat after the Eagles’ starting quarterback, Nick Foles, if the New England fell to the Philadelphia in the big game.